1. 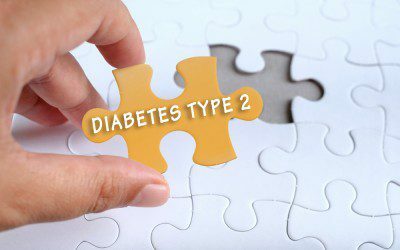 Type 2 diabetes is reversible. The Internet is buzzing about this now, but the medical establishment still calls Type 2 a chronic, progressive disease. You can’t stop it; the best you can do is slow it down. It’s a one-way train to disability and early death. New research shows that this dire prediction is not true. People can and do recover from Type 2. To reverse diabetes will require some changes in behavior, especially diet. You can choose from low-carb, very-low-calorie, or traditional diets used by Native people. Special vegan diets have also helped some people get off medications while lowering blood sugar and blood pressure. Whatever diet you choose, you will probably have to move your body more. You want to reduce stress and perhaps be evaluated for nutrients such as vitamins you might need. 2. Type 2 diabetes is not caused by weight. According to the American Diabetes Association, there are many causes and risk factors for diabetes. “Most overweight people never develop Type 2 diabetes,” they write, “and many people with Type 2 diabetes are at a normal weight or only moderately overweight.” Many of these causes are environmental, like stress and toxic chemicals. Losing weight may help because of the behaviors involved in losing weight, such as exercise or low-carb eating. Dr. Roy Taylor of Newcastle University has shown that radical weight loss can reverse diabetes if it decreases fat in the pancreas. 3. Type 2 diabetes is caused in large part by stress. Stress is a feeling of facing threats that are beyond your power to control. Stress, sometimes called the “fight-or-flight” response, prepares your body for running away or fighting a threat. To do this, stress releases hormones such as cortisol that make your body insulin resistant and raise your blood pressure to pump more blood. A little stress is OK, but chronic stress leaves you with high blood sugars, blood pressure, and cholesterol. It’s a killer. As you may have noticed, stress is not evenly distributed in society. People with less power, less education, less money, harder jobs, a body that is discriminated against, a broken family, or a history of trauma have more stress and more diabetes. Now some secrets you can use. 4. Bitter melon is magic. This fruit/vegetable (Momordica charantia) can be taken as food, as tea, or in capsules. It seems to get glucose into cells by a pathway different from the one used by insulin. With bitter melon, insulin function becomes less important. Read some of the over 100 comments we received in this previous column about bitter melon. Then go get some. You can buy these products online or at Asian groceries or pharmacies. 5. Vinegar is the most cost-effective medicine in the world (except sunshine, maybe). Studies have shown vinegar reduces fasting and after-meal blood sugar levels. Dozens of Diabetes Self-Management readers agreed here and here. Just make sure to rinse your mouth well with water afterward and not to brush for roughly 20 minutes to protect your teeth from the acidity (brushing too soon can wear away enamel). Professor Carol Johnston, PhD, RD, at Arizona State University has done studies showing vinegar lowers sugar levels after high-carb meals. It seems to stop the dawn effect of high morning sugars. She told me about a new Greek study showing that vinegar works in the muscles to increase glucose uptake into cells. She says any type of vinegar will likely work — she uses red wine vinegar; most people go with apple cider vinegar (ACV). 6. Dental flossing will protect against diabetes complications. Actually, losing your teeth IS a diabetes complication, and gum disease harms blood vessels throughout the body. A study of Pima Indians with diabetes in Arizona showed that those with gum disease had more than three times the death rate from heart disease and kidney disease of those with healthy gums. OK, so maybe they’re not the best-kept secrets, but still, most people don’t know about them. Tell everyone you can in the diabetes world. You could save and improve some lives, including your own. Getting used to having diabetes is not an easy thing to do, but your life is not over. Bookmark DiabetesSelfManagement.com and tune in tomorrow to learn how to adjust.